All aprons and smocks can be customized to suit your personal tastes. 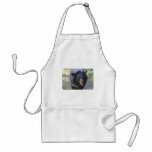 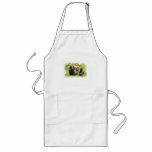 The aprons are available in three sizes and come in three colors. 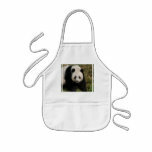 The aprons are a blend of 35% cotton and 65% polyester. 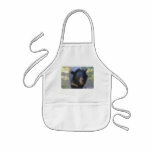 The aprons are machine washable and made in the United States. Sun bear snarling and growling. Baby brown bear cub rolling around in the grass. 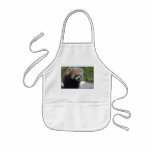 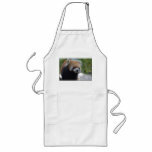 Red panda bear walking around apron.